On 13 August 2015, the Parish of Ryburgh will commemorate the life of Private Harold Comer who was killed when the Royal Edward was sunk by a German Submarine en route to Gallipoli. 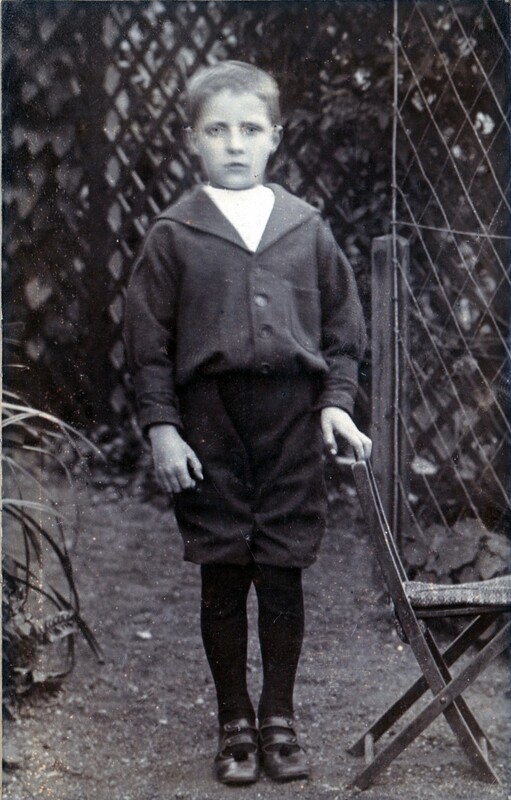 Harold Douglas Palmer Comer was born on 26 June 1888 in Great Ryburgh the third son of William Edward Comer (b. Castle Acre 1849) and his wife Mary Jane Palmer (b. Lakenham Norwich 1852). Harold had two older brothers Sidney William b. 1874 and Archibald (Archie) Thomas b. 21 March 1876 South Heigham. Harold Douglas Palmer, 2, son. Sidney William marries Maria Riches (b 1875) in Norwich. Note: Archie is recorded as Thomas A rather than Archibald T. It's probable that Harold was attending the school in Great Ryburgh. Unfortunately, those earlier registers don’t survive and Harold is not named in the school log covering the period. (William and Mary Jane were probably visiting Norwich as Winifred had just been born). Archibald Thomas married Clara Elizabeth Pratt at St Andrew's Church Great Ryburgh. Clara (b. 1877 d. 1949) was the eldest daughter of farmer, Robert Pratt and his wife Ellen (nee Jaggard). There were 3 other children. (Catherine A b.1884, Gertrude E b. 1889 and Gerald Arthur b. 1896). Archibald Thomas and Clara have a son Archibald Cyril. Still living in Great Ryburgh are William Edward now 62, and Mary Jane 59. Harold aged 22 has left Great Ryburgh and is an ironmonger's assistant staying with his eldest brother Sidney William Comer and family at 51 Portland Street Norwich. At this time, Sidney (a Clerk to the Official Receiver in Bankruptcy Norwich) would have been approximately 37 years old, married to Maria with one daughter Freda (Winifred Mary) Comer. William Edward Comer of Great Ryburgh died. Probate granted to Mary Jane widow. William is buried at St Andrew's Great Ryburgh. Harold Douglas Palmer Comer married Eva Blanche Pope Dunman in the registration district of Christchurch Hampshire. The marriage certificate confirms that Harold was at the time a Private in the 3rd Norfolk Regiment residing at Castle Road (Winton) Moordown. Harold's father is recorded as William Edward Comer (deceased) a Merchants Clerk. Harold's bride Eva is a 22 year old spinster and a domestic servant at Carrick lodge St Winifreds Road, Bournemouth. and her father is recorded as Theophilus Bartlett Dunman (deceased) a farmer. Witnesses were Edwin Leonard Cecil Hutchings (a solicitor's clerk and it's thought that he was a non family connected 'professional' witness) and Cyril Keith Marshall (who was about 17 years old and perhaps had a more personal connection?). Thanks to Moordown Local History Society we know that in 1915 the house in Castle Road where Harold was either living or staying would have been fairly modest whilst Eva's home as a domestic servant was a large Edwardian Villa which has long since demolished and replaced by flats. Carrick Lodge was the home of the Templeton family. David Templeton who was originally from Ayr, Scotland owned the property up until his death on 1 June 1938 which was reported in the London Gazette 9 days later. Two questions remain unanswered. How did Harold and Eva meet and what was Harold doing in Moordown at that time? 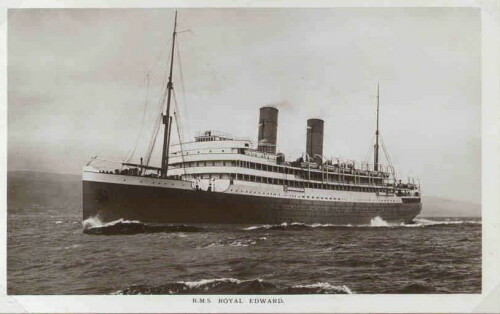 HMT Royal Edward is sunk. This ship, a former ocean liner turned troop carrier was torpedoed en route to Gallipoli by the German submarine,UB 14. 860 British lives, including Harold Comer were lost, many of whom had been below deck at the time. 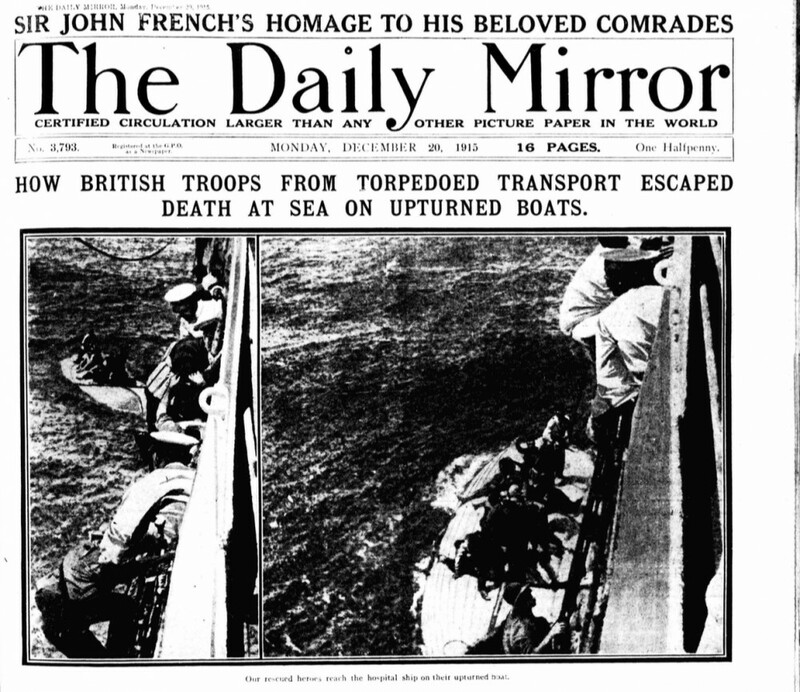 Daily Mirror published photographs of men being rescued from the Royal Edward with headline 'How British Troops From Torpedoed Transport Escaped Death At Sea On Upturned Boats'. Sidney William of 51 Portland Street Norwich died. Probate granted to Maria Comer widow. Mary Jane Comer died. Probate was granted to Thomas Archibald Comer, Maltster's Clerk. Mary Jane is buried at St Andrew's Great Ryburgh with her husband William. Winifred Mary of 11 Stockport Road, Streatham died The Forest, Hook Road, Epsom Surrey. Archibald Thomas of 17 Fakenham Road Great Ryburgh died. Probate granted to Archibald Cyril Comer Motor Engineer and Lorna May Bird (wife of Edmund Thomas Patrick Bird). Eva Blanche Smith died Weymouth and District Hospital. 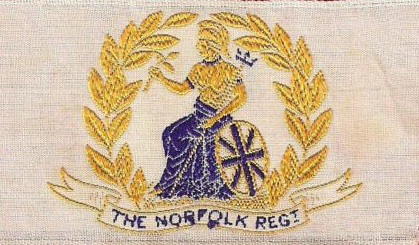 17338 Private Harold Comer enlisted in Norwich joining the 3rd Battalion Norfolk Regiment, the Regiments regular Army training battalion. It seems that by the summer of 1915, Harold and others had decided that they wanted to see active service and volunteered to go to Gallipoli as part of the Essex Regiment. The custom at the time of the Great War was for a soldier to be issued a new service number when changing regiments, so Harold became 20599 Private Harold Douglas Palmer Comer of the 1st Battalion the Essex Regiment. On 23rd June, 100 men went in the first draft with 200 following in the second draft on 24th July. Because of conflicting information, it's been difficult to confirm which draft Private Comer was part of. Was Harold part of the first draft as based on the Commonwealth War Graves records which appear to list those on the first draft as 1st Essex, whilst those on the second are recorded as 3rd Norfolks? Or was he part of the second based on the fact when he married Eva on the 25 June, Harold records his Rank or Profession as 'Private 3rd Norfolk Regiment'? Can anyone tell us? We now speculate that because Harold is recorded by the Commonwealth War Graves Commission as 1st Essex, he was indeed part of the first draft and chose on his wedding day to record his rank in the Norfolk's because of pride in his regiment. On 25 June 1915, Harold Douglas Palmer Comer married Eva Blanche Pope Dunman in the registration district of Christchurch Hampshire. The marriage certificate confirms that Harold was at the time a Private in the 3rd Norfolk Regiment residing at Castle Road (Winton) Moordown. Harold's father is recorded as William Edward Comer (deceased) a Merchants Clerk. Harold's bride Eva is a 22 year old spinster and a domestic servant at Carrick lodge St Winifreds Road, Bournemouth. and her father is recorded as Theophilus Bartlett Dunman (deceased) a farmer. Witnesses were Edwin Leonard Cecil Hutchings (a solicitor's clerk and it's thought that he was a non family connected 'professional' witness) and Cyril Keith Marshall (who was about 17 years old and perhaps had a more personal connection?). Thanks to Moordown Local History Society we know that in 1915 the house in Castle Road where Harold was either living or staying would have been fairly modest whilst Eva's home as a domestic servant was a large Edwardian Villa which has long since been demolished and replaced by flats. Carrick Lodge was the home of the Templeton family. David Templeton who was originally from Ayr, Scotland owned the property up until his death on 1 June 1938 which was reported in the London Gazette 9 days later. In 1924, Harold's widow Eva (now using the surname Smith) received his British War Medal (BWM) and death plaque giving her address as Hill Crest Dorchester Road, Weymouth. In June 2013, research traced Harold's British War Medal and Plaque to a sale at Lawrences (Crewkerne Somerset) auction house on 13 October 2009. Lawrences have kindly given permission to reproduce the following extract from their catalogue. 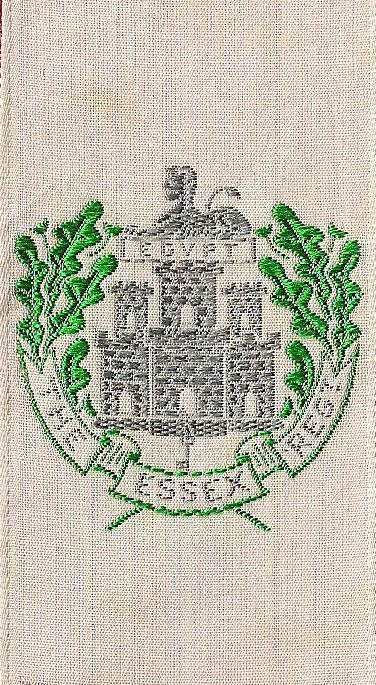 LOT 338 "A BWM & PLAQUE TO THE ESSEX REGT. 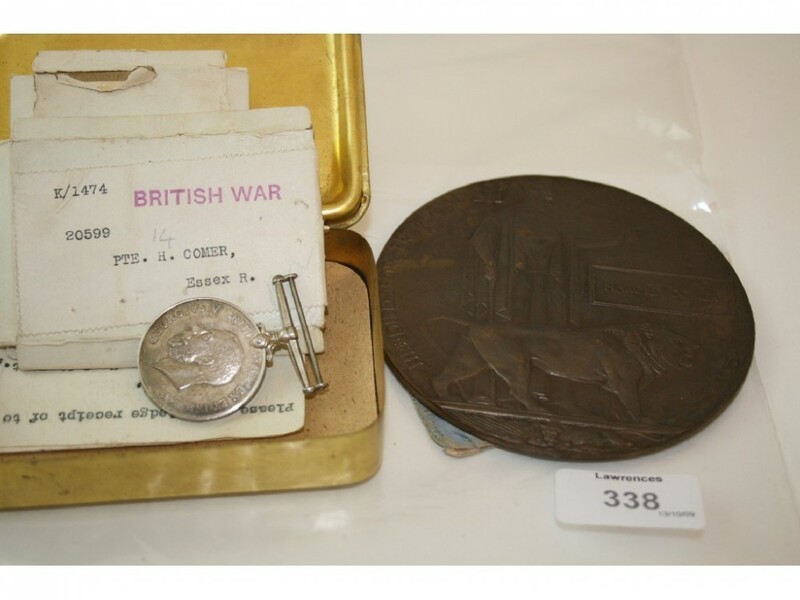 British War Medal named to 20599 Pte H Comer Essex R. The Plaque named to Harold Comer. 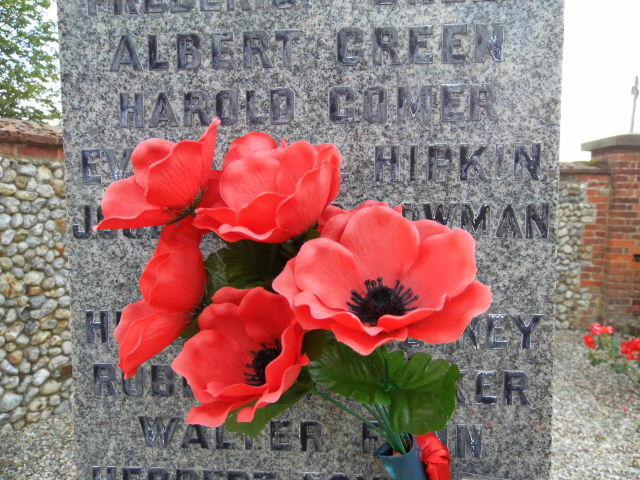 CWGC states that Harold Comer of the 1st Battn Essex Regiment is commemorated on the Helles Memorial 13/8/1915. An original box of issue card top K/1474 British War 20599 Pte H Comer. Essex R, also a 1914 Xmas Tin with Princess Mary's card and a typed leaflet. The property of Pte H Comer on obverse, Please acknowledge receipt of to-The Adjudant, 3rd Battn Norfolk Regt, Felixstowe, Suffolk. Immediately above Harold's medal entry in the auction catalogue was the name of William Dunman. William was Eva's brother, whose 1914-1915 Star, death plaque and a photograph of him in uniform were also on sale. 1171 Private William John Hill Dunman from Godmanstone, Dorset had enlisted on 26 October 1914 at Sherborne and served in A Squadron 1st Dorset Yeomanry (Queen's Own). William's Regiment landed at Suvla Bay in Gallipoli on 18 August 1915 and took part in operations against Turkish positions on 21 August. It lost 7 out of 8 officers and 119 out of 301 other ranks that day. Amongst the latter was William aged 19. In 8 days, Eva had suffered the loss of her husband and brother. 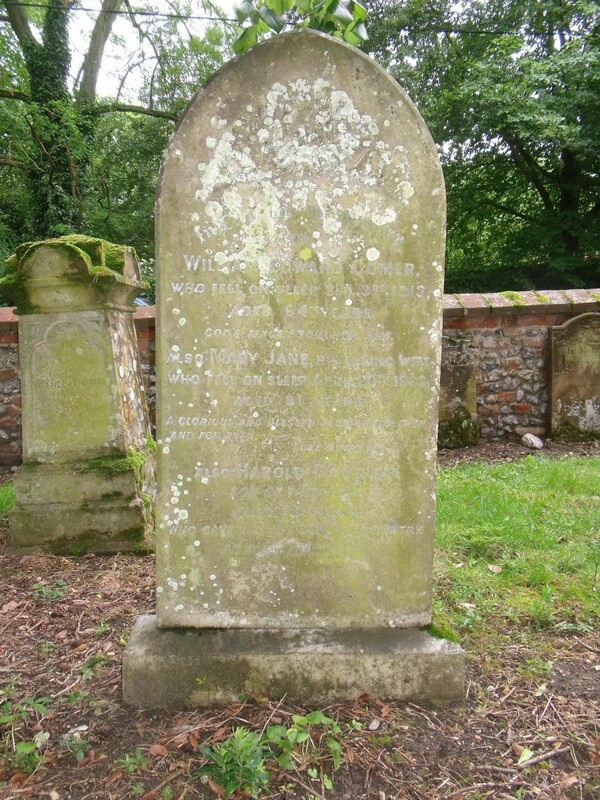 William like Harold has no known grave and is commemorated on the Helles Memorial, Turkey (Panel 17 and 18) and is also remembered at Godmanstone and Nether Cerne Church of the Holy Trinity. The Commonwealth War Graves Commission record William as the son of Ellen Dawe (formerly Dunman) and of the late Theophilus Bartlett Pope Dunman, of Puddletown, Dorset. As Harold was deemed not to have been in a theatre of war as they had yet to arrive in Gallipoli, being lost en route, he was awarded just the one medal. Meanwhile, William was awarded the 1914-1915 Star, BWM and Victory Medal. To try and remedy discrepancies such as this, the Gallipoli Association launched a campaign in October 2014 to secure a review of medal awards to those who were lost when the Royal Edward went down in August 1915. It would appear that Eva kept her husband's and brother's medals together for many years and eventually the medals came up for auction in 2009 in the same catalogue. Unfortunately, it looks as though the buyer(s) did not know of the family connection and the two sets of medals were separated. Five years later Harold's BWM and Plaque were sold again at auction on 17 May 2014, by Lockdales, Martlesham Heath, Suffolk. Lockdales have kindly given permission to reproduce the following extract from their catalogue. LOT 118 "BWM & Death Plaque to 20599 Pte Harold Comer 1st Bn Essex Regt. Died at Sea 13th August 1915. Born Ryburgh, Norfolk. He Died when the Royal Edward was torpedoed by U-Boat 14. Listed on the Helles Memorial. Plaque and BWM his only entitlement. GVF (2)"
Note. There is no mention of the 1914 Christmas Tin with Princess Mary's card that formed part of the 2009 Lawrences catalogue description. Also Harold Douglas son of the above aged 26 years who gave his life for his country August 13th 1915. Inside St Andrew's, Harold's name can also be found on the Think and Thank panel dedicated to the Norfolk Regiment and the Roll of Honour (underneath that of his brother Archie Comer Essex Regiment). Harold's name can also be found on the parish War Memorial and on the commemorative panels above the stage in the Memorial Hall. On the tip of the Gallipoli Peninsular stands the Helles Memorial at 30 metres tall, which can be seen by ships passing through the Dardanelles. One of the panels remembering those who died aboard HMT Royal Edward is 230. 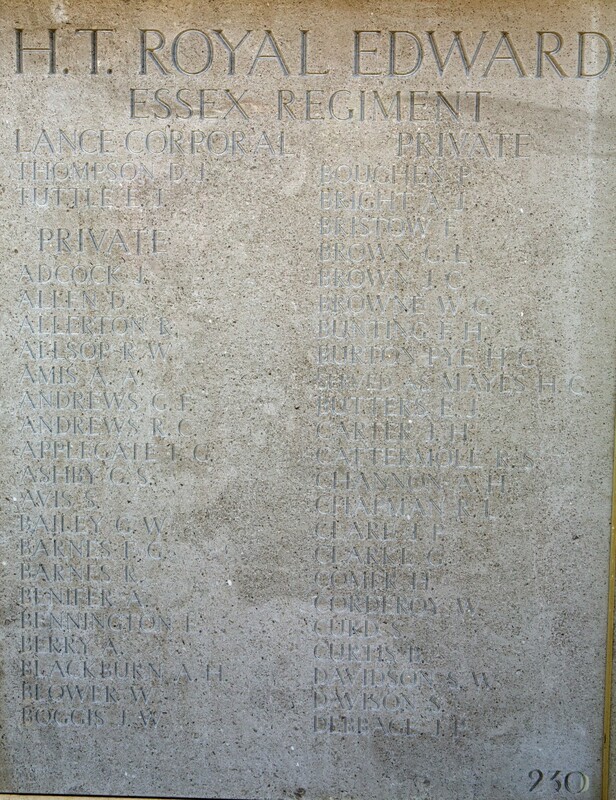 This panel features Harold and comrades of the Essex Regiment. photograph provided by Gallipoli Association Membership Secretary Keith Edmonds. Peter Trent and Steve Tipler for Ryburgh Remembers. George Mortimer (Cerne Historial Society) and Sid Hart.